The Diversity Office is hosting the movie Pele: Birth of a Legend on Thursday, June 22 from 3:00-5:00 p.m. in the Charity Earley Auditorium located in Building 12 on Sinclair's downtown Dayton campus. The movie is free and open to the public. 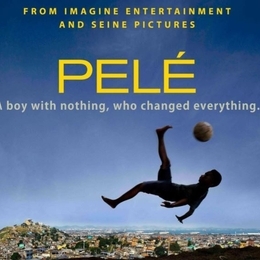 Come and enjoy this 2016 film that chronicles the life of Brazlian soccer legend Pele. Snacks will be provided. For more information, check out the links below or contact michael.carter@sinclair.edu.